In early February each year the UK’s largest dealer event attracts farmers, contractors, foresters and construction workers from across East Anglia and the south-east to Ulting in Essex. This year marked the 59th Doe Show and David Williams attended. Held the first week of February, the Doe Show marks the end of the pheasant shooting season and provides an opportunity for the dealer, farmers and estate owners to get together and discuss priorities for the coming year. 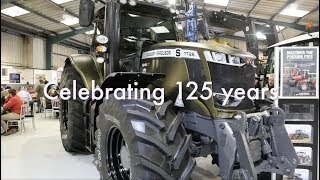 The event has grown considerably over the years and brings together at one location products from all the main franchises of Case IH division Ernest Doe Power and New Holland division Ernest Doe, both part of the parent business Ernest Doe & Sons Ltd. Most product displays are static, with each supplier having its own stand space but there are also working demonstrations on the dealer’s farm at the rear of the depot. The latest Case IH and New Holland tractors perform cultivation tasks with a selection of implements, but a highlight for many is the annual vintage display, where Doe Triple D tractors, Fordson and Case tractors can be seen at work. This 1923 Fordson Model F with an International Harvester Little Genius 2f plough performed well in the heavy, wet conditions. Ernest Doe Power general sales manager Gerald Silvey agreed. “It was an excellent show for us resulting in a lot of business done at the event and many enquiries to follow up in the coming months. The Case IH tent proved popular with visitors and on the first day it was the busiest I have ever seen it. The latest Case IH 50-series combines were on display, with features to increase productivity and reduce driver effort, and feedback from those who had come especially to view them was extremely positive. The Case IH display area featured all the latest models from a Farmall 55 to a Magnum 340 Rowtrac. Graham said ex-hire and second-hand equipment sold well and that even though there were a large number of Richard Western and Marshall trailers on offer, most sold during the three days with the remainder likely to be ordered within a week of the event finishing. Good, used grassland machinery was also very popular and Graham said that by the end of the third day the entire stock of mowers, rakes and tedders had been sold. New machinery was also in demand, and SIP grassland machinery was a highlight. “Taking on SIP has turned out to be a good decision for us, and it’s obvious from comments received and the increased levels of interest that the brand is gaining a strong reputation,” he said. New tractors sold included a New Holland T8 Smarttrax along with other Case IH and New Holland models. Graham said availability of the New Holland T6 mid-size model with DynamicCommand twin-clutch transmission has resulted in a high level of interest and increased sales, and is almost as smooth as a CVT and extremely efficient. “What has become apparent is that many smaller family farms are investing in new machinery, and in particular new tractors. They are taking the opportunity to invest in future-proofing their businesses for the coming years with efficient, reliable machinery,” Graham continued. KRM fertiliser applicators, the range of Dal-Bo machinery and Maschio flail mowers all enjoyed a particularly successful event with record numbers of orders. Manitou handlers also attracted many enquiries from potential customers. “We invested late last year in a large number of Marshall flat trailers which we knew were ideal for our customers,” commented Graham. “These were offered at a special price during the Doe Show and all sold before the end of the event. “Construction equipment also proved popular, with orders placed for excavators, dumpers and rollers, of which several excavators were ordered by farmers for ditching and estate maintenance applications. (l-r) A 1965 Doe 130 Triple-D, a 1961 Doe Triple-D and a 2019 Case IH Optum armed with a Kuhn 7f reversible plough demonstrated how primary cultivations have developed over more than 50 years. Axial Flow 50-series combines are available for the first time for the 2019 harvest, following a successful launch and targeted demonstration last year. The machine displayed was awaiting delivery to a customer who committed without trying the latest innovations. “The 50-series models gain extra automation over previous 40-series versions,” explained product specialist Paul Freeman. “Structurally they are similar, including the engine power but even an average user should see at least 10 per cent extra productivity and some considerably more. “AFS Harvest Command ties in with systems such as automatic guidance to maximise productivity and some features are options while others are standard. Feed rate control was available previously and operated by monitoring drive-line effort to assess the density of crop passing through the machine and grain losses to set working limits. An enhanced version is more sensitive, based on engine load measurements and very small changes are detected instantly for optimum working efficiency. Additional sensors in the sieve box monitor air pressure. “A thick layer of grain on top of the sieves increases the air pressure, and the management system decides whether to open or close the sieves, adjust the fan speed or vary the travel speed to find the optimum, based on the priority set by the user. Options include maximum output, optimum grain quality or minimum losses, and grain cameras using visible and invisible light sources monitor the clean grain elevator and detect starch from cracked grains, foreign bodies in the sample and other criteria to ensure quality meets the standard selected,” he explained. Threshing quality is also adjustable from the cab by adjusting the vane angle to either restrict crop flow keeping it within the rotor area for longer, or allow it to move through faster for increased productivity and reduced straw damage. Pictured with the new 50-series Axial Flow are (l-r) Case IH digital marketer Liam Bond, product demonstrator Ed Watson and Paul Freeman. On the Logic stand sales representative Oliver Minns is pictured explaining features of the new Surface-Pro arena grader. It has a 1.5m working width and 2 rows of spring tines with operating angle adjustment in 3 stages. Electric raise and lowering is standard and the model displayed had an optional perimeter plough, to pull material in from the edges. Pictured with Oliver and the new grader are James Perry who farms near Stansted, Essex with his son Jack and father Steve. On the Spearhead stand a new front-mounted verge cutter was attracting considerable interest from farmers and contractors. Pictured with the Rolliflail HD Offset 120 are (l-r) Stuart Hardy and Robert Bush of verge cutting specialists Bush Wheeler Services Ltd, based at Goffs Oak, Herts and Spearhead area sales manager Jack Norton. New Kuhn products included Oceanis 2 trailed sprayers available from 5,000–7,700-litres capacity and with 24–48m booms. The new model replaces previous Oceanis versions and the Doe Show was the first dealer event at which it was shown. Pump options are 500-litres/min piston diaphragm or 700-litres/min centrifugal and the sprayer is available with Canbus or Isobus technology. Four-point suspension operates in the field and on the road ensuring great towing performance. Additional options include Multispray Duo offering single nozzle section control and automatic nozzle switching between two nozzles to maintain optimal droplet size and for extra flexibility Multispray Quattro can be specified providing switching between four nozzles. Models of 36m and above feature variable geometry booms as standard – an option previously, and ensuring accurate contour following. Boom Assist Pro is a further option allowing height control by ground or crop following and a hybrid mode averages distance above variable crops to ensure a smooth boom ride. Also displayed for the first time was the Optima XL 5000 shallow disc cultivator available in 3–4m mounted, and 4–5m trailed versions currently with more sizes to be added. Large 620mm discs are standard and additional packer options include double-U and V-line. On-the-move depth control is standard now whereas it was an option on the previous model. 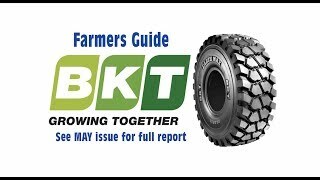 “It’s longer overall, for reduced bounce at higher working speeds,” pointed out Kuhn UK crop protection and establishment specialist Will Waterer. The latest version of Teagle’s Centerliner fertiliser applicator was shown. Available in a base SX version, as the mid-spec SXE with Isobus compatibility, or the top specification SXi with weigh cells, an Isobus option and compatibility with most manufacturer mapping systems, the new spreaders offer improvements for users including better sight glasses in the hopper front and a new version of the Easytronic remote control. The latest spreader is pictured with Teagle area sales representative Chris White. The impressive Sealey tools and workshop equipment display included exclusive offers available only at the Doe Show and, as in previous years, customers took advantage of the opportunity to purchase the quality tools at very attractive prices. Lemken products are sold through Ernest Doe in Suffolk, Essex and Norfolk and through Ernest Doe Power south of the Thames and UK sales manager Paul Creasy explained that sales of the Karund mounted seedbed harrow had increased recently as demand for a light seedbed cultivator for sugar beet and other spring crops has grown. The Karat tine cultivator with quick-change feet is also proving popular due to its versatility for autumn and spring crop establishment, working after the plough or direct into stubble. Displayed were new S-series New Holland T6 and T7 tractors. S-series includes cost-effective entry-level specification, allowing the purchaser to upgrade with any additional features needed. “The main components are the same as standard specification models,” explained tractor product specialist Tim Lowden, “but without any extras it is available for approximately £7,000–£10,000 less. Only RangeCommand 40kph transmission is available and there are 3 models in the T7 range – the T7.165S, T7.195S and T7.215S and in the T6 range just a T6.125S, none of which have power boost. Shown for the first time was the new T6-180 6-cylinder DynamicCommand. “It’s the only one in the country currently and deliveries to dealers won’t start until April this year. Many arable farmers like the 6-cylinder option for its power delivery and extra weight and with DynamicCommand dual-clutch transmission it is a superb tractor for field work,” he added. Tim (right) is pictured with Ernest Doe area sales representative Chris Scott. More than 50 per cent of new CR combines ordered for the 2019 harvest have the latest Intellisense harvest optimisation system, reported New Holland harvester product specialist Nigel Honeyman, who is pictured with CNH industrial finance representatives Francesca Jacobs (left) and Anna Strozek. APG Applied Protection Guards manufactures and supplies the Cabguard protective screens which fit over tractor cab doors and windows, preventing glass damage during tasks such as hedge cutting, mowing and forestry applications. The original version fastened on with suction cups but an all-new Cabguard Highway Plus version is easier to fit and remove using a set of semi-permanent fixing brackets which remain fastened to the cab even when the transparent polycarbonate screens are removed, saving considerable time, explained director James Green. Typical cost for a set of screens to fit a New Holland T6 or T7 cab door are £216 for the original specification or £336 for the Highway Plus. The protective screens are fitted with a gap between them and the original cab glass, preventing condensation and providing room to move and absorb impact from stones and other debris without shattering the cab glazing. Pictured (l-r) James Green, apprentice Josh Payne and Niall Green. On the Karcher stand a display of power brushes, pressure washers and steam cleaners allowed visitors to view the latest products and assess features and benefits. Karcher representatives John Fisher and Tom Miller said hot water cleaners were proving especially popular. Several orders were placed during the first day for the compact HDS6/12 model which was available at a promotional offer price. UK-based tillage product manufacturer Cousins enjoyed a very successful Doe Show and company representatives reported particular interest in wide sets of rolls as well as cultivation equipment for spring crop establishment. “We have seen a definite switch to spring cultivations as more spring-sown crops are included in the rotation,” commented managing director Laura Cousins, who is pictured with Cousins product specialist David Howard (left) and Ernest Doe Power Dartford depot sales manager Nick Booth. “The precision seedbed harrow has been especially popular for sugar beet and vegetable establishment, as well as for preparing seedbeds after the plough,” she added.